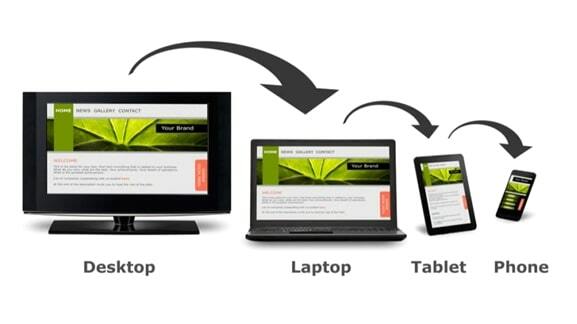 Have you ever thought, “What exactly is Responsive Websites”? Responsive websites is a web page, an innovative approach of a web designer to make websites that respond to resizes itself as per the device in which it is being used. In a nutshell, responsive websites are those websites which are compatible and adjust itself if used in different devices of different sizes in terms of height, size, length, grid etc. hat could be bulky Computer desktop, Laptop or any Tablet or Mobile phones. For example, let’s consider a traditional “Alias” website and you are viewing it on the large desktop computer. So in that case, the website might look large in size and it might also show you three column. But, when you view the same website of similar layout on smaller devices, it might force you to scroll horizontally, something which users don’t like. Or the elements might be covert from view or look crooked. The effect is also complex by the fact that a lot of tablets can be observed in either portrait orientation or turned sideways for landscape view. There are the plethora of responsive web design benefits. It can positively influence your SEO, user experience, a lot of other sides of your business that donate to your accretion. Here are the 8 most significant responsive web design features and their advantages. Enhanced User Experience:- A responsive website allows a good user experience. A vital element representing the quality of user experience is the time they surf on the site. If they find it difficult to indicate or use, because, they’re compelled to frequently zoom in and zoom out, they won’t stay on the website for a longer time. On the other hand, if the website allows the user to interact without any limitation or to work freely without zooming in and out, they will enjoy spending their time on the website and it will be lucrative. 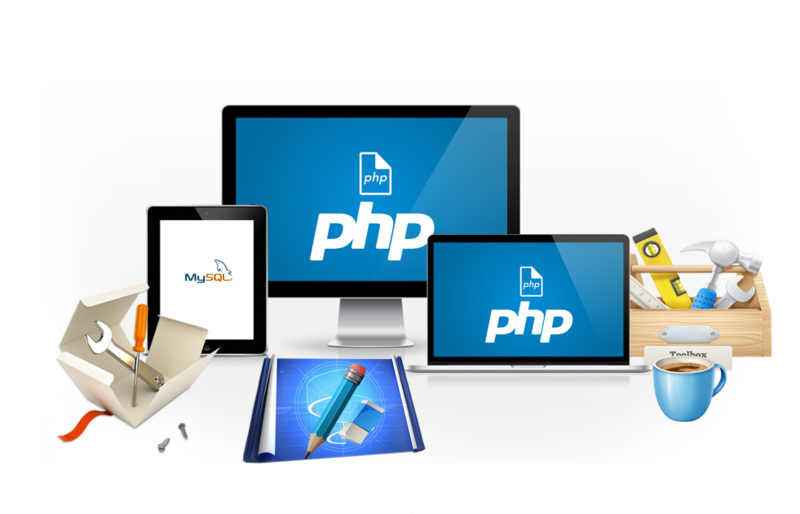 Faster Development Of Website:- Previously, a typical practice involved creating a discreet mobile compatible with the site that was catered when a smaller screen size was detected. However, developing one responsive website takes comparatively less time than making an alone mobile application in addition to a typical desktop website Another downside of a mobile website version is the fact that they charge more because the developer has to make two websites rather than one. Lower Maintenance:- With both versions of the website, the development team has to split the time and resources on handling two websites. With a responsive website, the team can spend less time on continuation tasks and can be more focused on major tasks for instance marketing, A/B testing, customer service, product or content development, etc. No Plagiarism Content Penalty:- The other fact to understand is with two type of website is the fact that you’re essentially creating identical data. While search engines are getting updated and smarter day by day, they still need to recognize which website version is more significant. The mobile version of the site, let the content remains the intact even if the URL is different. But thanks to responsive websites, all of the above headaches can be successfully avoided. Extremely Lower Bounce Rates:- Bounce rates indicate the number of visitors to a particular website who divert away from the website after looking a page only. As mentioned earlier, a responsive website means visitors will stay on the site for a longer time which drops your bounce rate. Visitors will be more interested to click through and read other pages on the site and explore everything you’ve got to offer. Higher Conversion Rates:- The more time user spends on site, the lower bounce rate are the initial steps to enhancing visitor’s user experience and assembling trust. That leads to better conversion rates, whether it may be signing up for your newsletter or making a purchase or booking a call. Consider for a while that the mean of mobile phones conversion rates are uplifted by 64% in comparison with the desktop, and it’s easy to see why a responsive website is a must. Better SEO:- The other major Importance of responsive website is its improvised search engine rank. In April 2015, Google takes into consideration that the responsiveness of the website indicates the rank of the websites in search engine page. If the website is not responsive, the search engine will place it lower on the results page whereas it will show up higher if it passes the mobile-friendly test. More Social Sharing:- If done properly, responsive web design can result in an increase in social shares for the feed or content. This is a different one of the responsive web design benefits. Responsive content linked with responsive social media buttons which makes it easy to share links to the site’s pages even on smaller screens. This increases the credibility and exposes you to a new user, which then results to extra traffic and conversions. In addition to, social signals can also influence the search engine rank in another way because the search engines will observe the higher engagement and search request. Conclusion:- Responsive sites offer you to stay at the first place of the trend. As the call for media-rich mobile internet and apps is growing continuously, distinct significant implications must be resolved; development and the costs of maintenance, visible in search engines and good conversion rates. If these key points embraced with a unified way to design that will be profitable for all stakeholders.